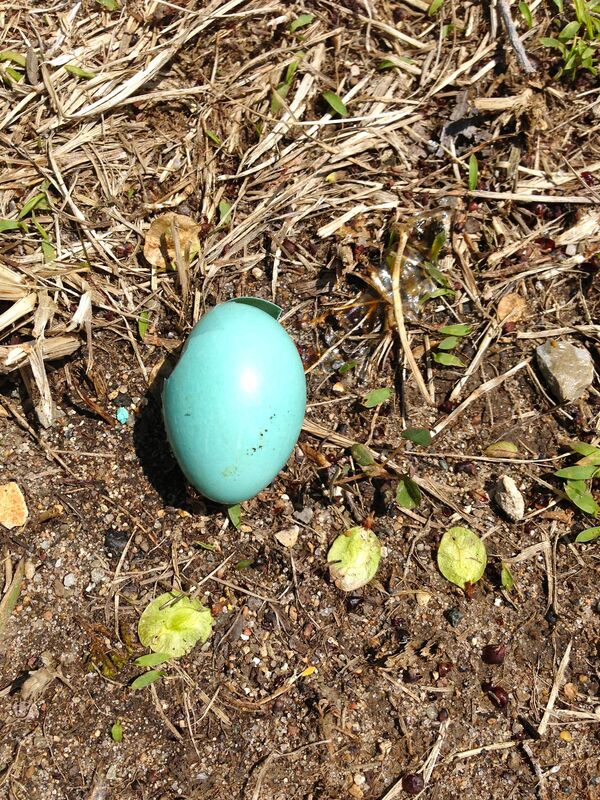 The brilliant blue of a robin’s egg takes my breath away. Sheltering a tender new bird is a perfect shell, the color of which you’d be hard-pressed to duplicate. Witnessing it is akin to seeing perfection. While hiking in a nearby park I came across just such a perfect egg. Only on closer look, it wasn’t. Cracked through the side of one end was a hole, broken shards of shell still attached. Even in its brokenness, the shell was beautiful. I stopped to stare, wondering if the egg had fallen by accident or if the baby bird had safely gotten out after pecking its way through the hard casing in a nest high above. I’ve read that mother birds push the discarded shells out of their nests once their newborns hatch. Given the shape and size of the hole, it seemed to be the case. I stood admiring the egg and was reminded of how we often strive to appear before others in full-colored perfection…with no cracks. The baby waiting to break through the shell is unaware of the beauty of its outward appearance. By instinct it simply must break through to experience new life. Without breaking through, it will die. We are a culture obsessed with flawlessness. We admire those who appear to have it all together. We assume they have no ‘difficulties’ to overcome. And so, we do our best to emulate them. We’re handling our lives just perfectly, thank you very much. The public shell is what we allow others to see, even in groups intended to foster community. Yet all our perfect shell gazing does nothing to bring others close. We crave community, yet we’re not willing to risk it. What if we were real with others and likewise, showed grace by allowing others to be real with us? I wonder how our lives would change. Are we hiding behind a shell of supposed perfection, never really able to experience newness in the various areas of our lives? We must break through our shells and be willing to stand honestly with our cracks. Like the newly hatched robin, we too, may stumble at our first attempts to move in newness. There is risk, no doubt, in leaving behind the safe and secure…the known. But, it’s a stifling place to remain. The baby bird isn’t ashamed of the cracks in the shell that once held it. It simply is a part of who it was, a stop along the road to new life. It steps out into the unknown to take hold of the life waiting on the other side. Breaking through and bravely standing broken shell in hand, we do become vulnerable. But in doing so, like the robin, we grow stronger. Beautiful Angie! This definitely spoke to my heart, thank you. Thank you so much, Lori! Glad that it blessed you, friend. Love it Angie! Great illustration – very vivid. Billie! Hello, friend! Thanks! Glad you liked it.